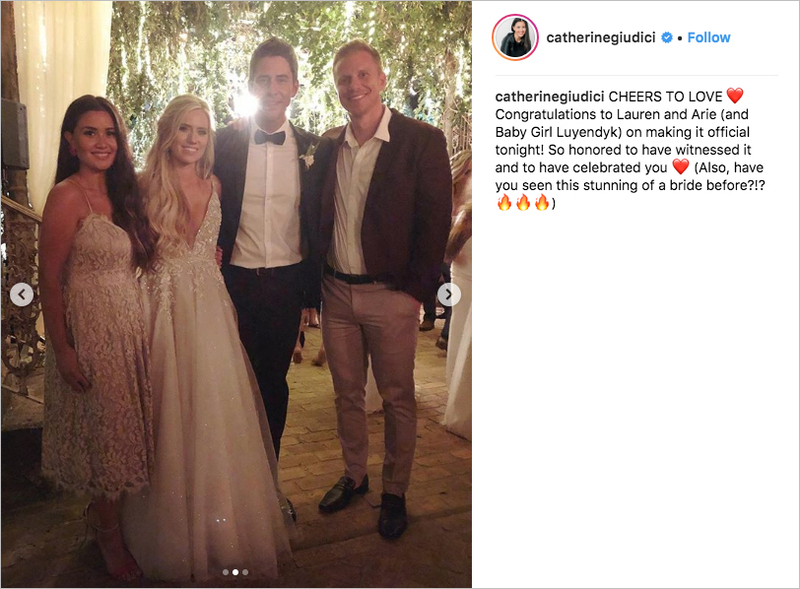 Home > Celebrity Style > The Bachelor's Arie Luyendyk Jr. & Lauren Burnham Are Married! 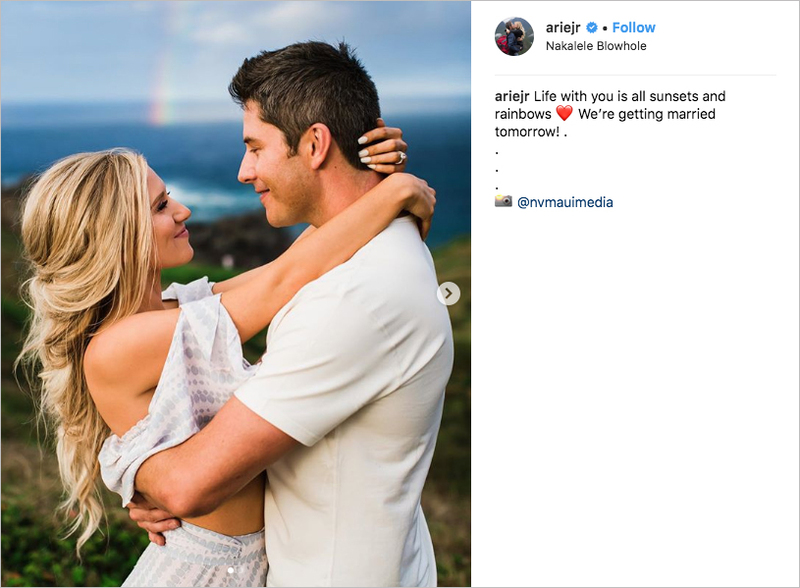 The Bachelor's Arie Luyendyk Jr. & Lauren Burnham Are Married! The pair exchanged vows in front of a waterfall on the island of Maui. Though their road to “I do” may have been a rocky one, Arie Luyendyk Jr. and Lauren Burnham are now married! The pair met during The Bachelor season 22 and got engaged during a controversial after-show special, after footage of Arie ending his engagement with Becca Kufrin due to his lingering love for Lauren was shown. He then proposed to Lauren in front of the live studio audience. The couple, who moved into a new house together in Phoenix, Arizona, are expecting their first child, a girl, in November. The wedding was held on the island of Maui, but rather than being an expected beach wedding, the venue is among the trees with a stunning waterfall serving as the backdrop. In a charming touch, Lauren’s grandmother served as the flower girl, an insider told People. As with many Bachelor Nation weddings before, members of the reality TV family attended the nuptials, including former Bachelor Sean Lowe and his wife Catherine Giudici, who also met on the show during season 17. Chris Harrison officiated the vow exchange, as he has done for many Bachelor weddings, including the nuptials of The Bachelorette's Ashley Hebert and J.P. Rosenbaum featured in Inside Weddings. Learn more about the recent engagements of Chris Pratt and Katherine Schwarzenegger as well as Tim Tebow and Demi-Leigh Nel-Peters, Miss Universe 2017.